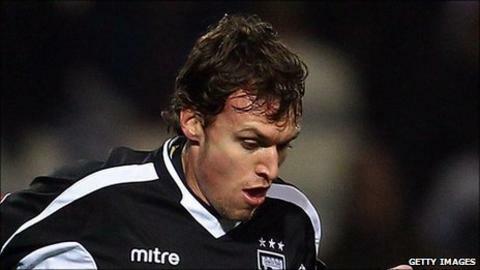 Ipswich Town winger Luca Civelli has returned to his home country Argentina after being released by mutual consent. The 25-year-old's time at Portman Road was ruined by injury, having spent 18 months on the sidelines after suffering knee ligament damage in March 2009. Civelli, a £1m signing from Argentine side Banfield in January 2009, made 17 first-team appearances for Town. "My knee is 100% but I have missed a lot of football and want to make up for those times," he told the club website. "I'm still young though and there are hopefully a few opportunities for me back home to join a club, get my career going again and playing regular first-team football." The midfielder finally made his return to action in February, coming on as a late substitute in a 3-0 win over Sheffield United. But he found his chances limited under then-boss Roy Keane, to the extent that he expressed concern over being pushed to the sidelines. But he insisted he leaves Suffolk with fond memories: "I will never forget the supporters at Ipswich. They were fantastic to me when I first arrived here and especially when I was injured. "The reaction I got when I played my first game back after the injury was very special. It was an emotional moment for me. "I want to thank the staff at the club as well. The medical staff, the coaches, the manager, the other players and the people at the ground. They have all been great to me."